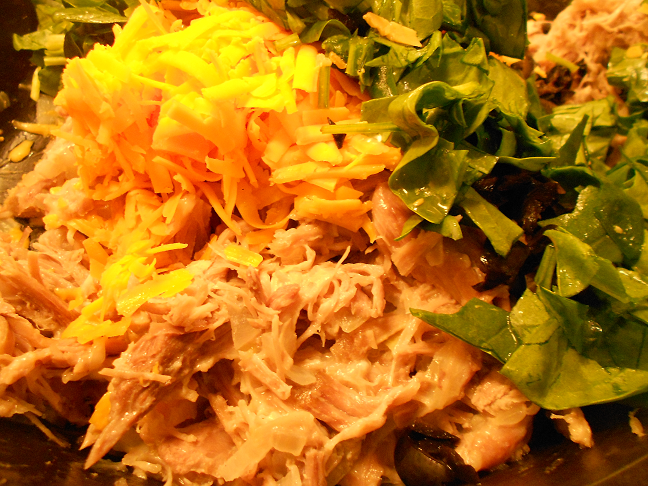 This is one of those recipes I found a long time ago, bookmarked, and never reconsidered it. Mostly because it called for rotisserie chicken and since we raise our own chickens – there is no way we would ever buy a rotisserie one. But I bookmarked it nonetheless. Insert Thanksgiving – and an entire turkey that we hardly touched = a freezer full of precooked turkey. I was looking for an easy meal tonight, and pulled up my trusty bookmarks and came across this one. It was too plain for my liking, so I fixed it up a bit and called it dinner! Combine ingredients, and roll into tortilla. 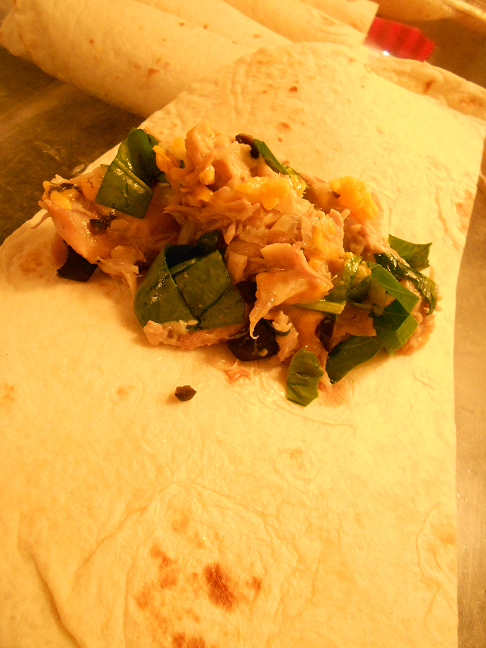 We only had large flour tortilla shells, so I cut them in ½ and it worked great, but you could opt for a smaller shell. Melt butter, combine with flour. Add chicken broth, stir until thickened. Remove from heat, add sour cream. 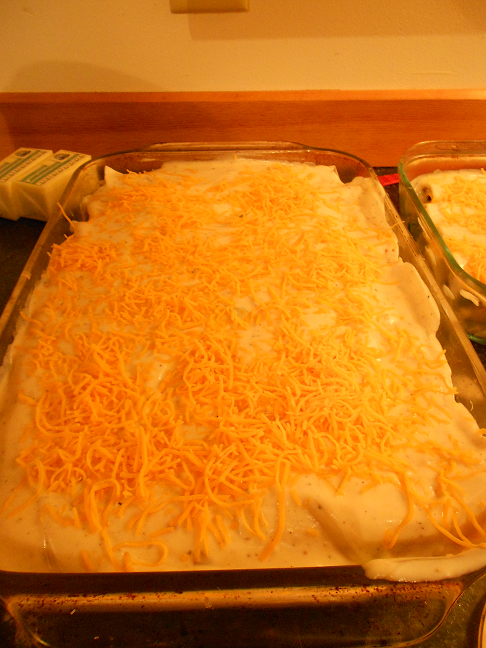 Once enchiladas are lined in pan, top with cream sauce, extra cheese and bake for 20 minutes or until cheese is bubbly. This recipe could easily be adapted and changed up with various ingredients. I also doubled it fairly easily.